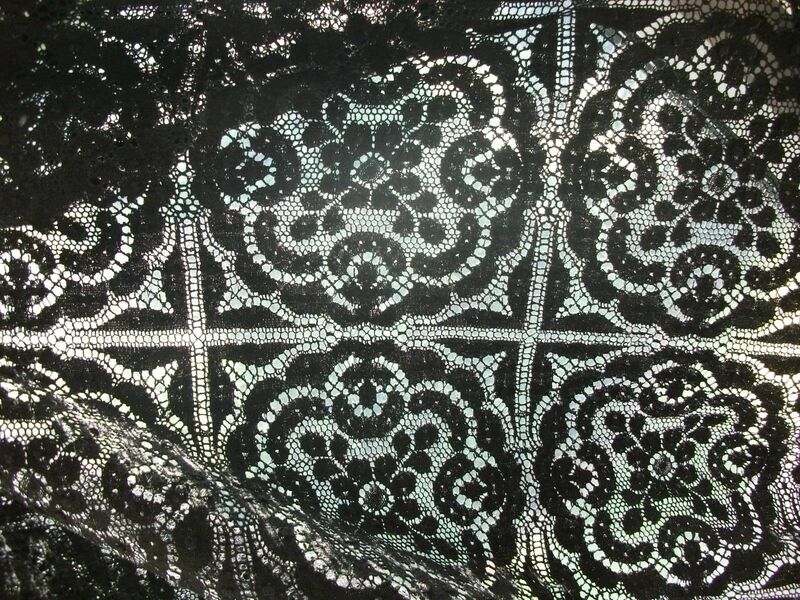 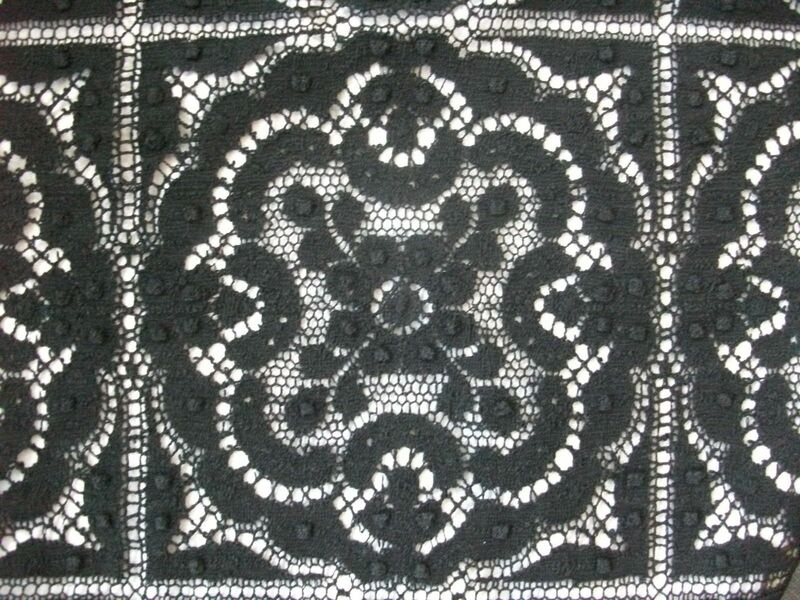 Genuine Nottingham Cluny cotton lace fabric which is BLACK in colour. 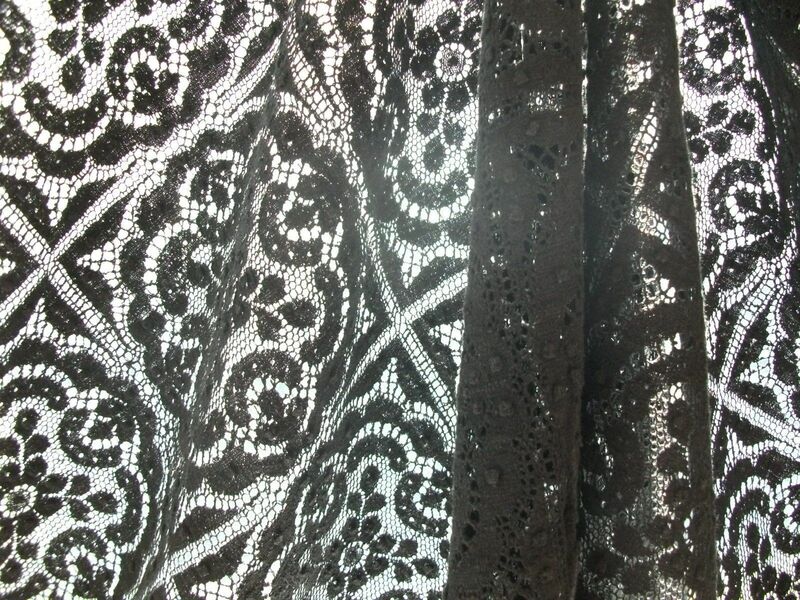 This lovely lace fabric is made with heavy gauge cotton and has unfinished or raw edges. 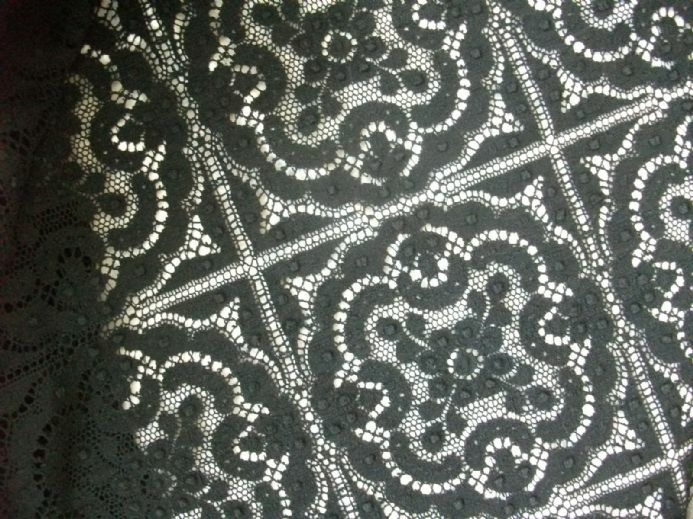 The piece measures 2.5 metres x 0.8 metres. 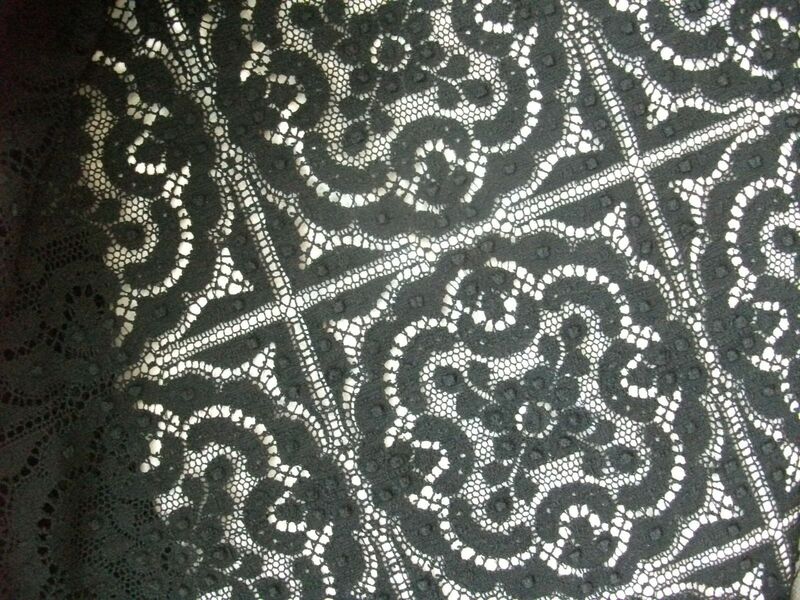 This lace is used in the world of fashion in all types of ladies and girls fashion clothing and is also used in home furnishings over the years. 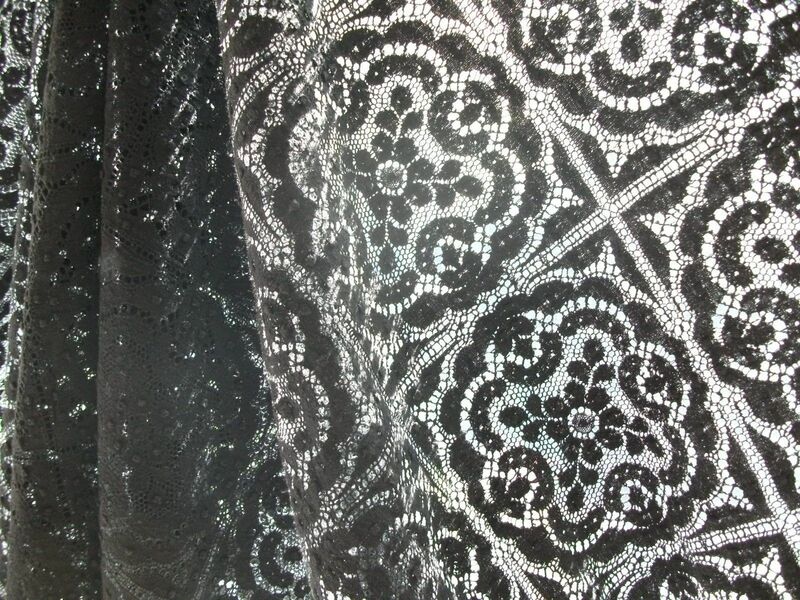 Only 1 piece is available.